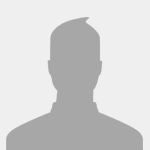 Mediocre icons for the cost, but decent skill, a nice ability that works like a repeatable mini apeirophobia and more importantly, adds two terror struggles to any story. Spectacular with new Hastur AO on the table to cash in success tokens, but well, if you are already in a position to swing Hastur then its probably just a "win more" situation. I'm willing to try this as a 1x to help finishing games, though. And since the characters do not have to be committed to the story, the Forced Response activates. 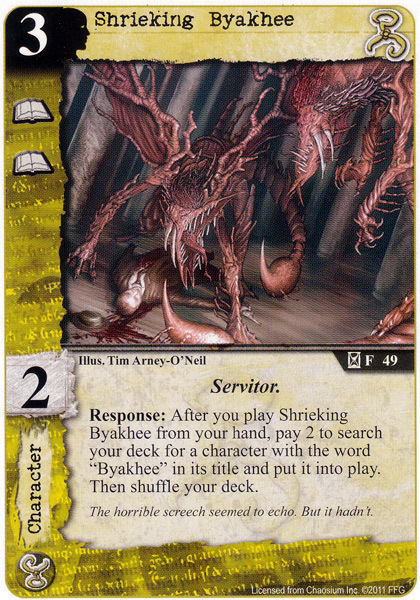 I will definitely put this into my new Hastur deck, once I get the new set. SoB feels overly powerful to me. This card is a 5/5 for me. It wrecked my opponents in a recent tournament. When paired with Sweet Dreams..., Opening Night or Drawing the Sign it can result in a huge swing (twice I was able to steal a story card where they had 4 success tokens). I combined it with Shub for Savio (fast and terror) and Shocking Transformation to get it into play on the same turn as laying down the conspiracy and Sweet Dreams, giving my opponents little chance to react. 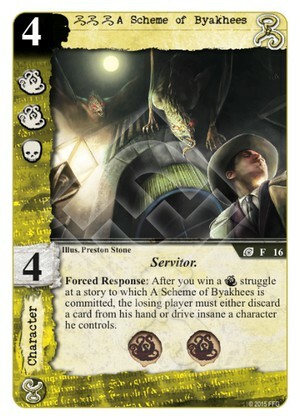 I feel like scheme of byakhees + opening night + carcosa could put an opponent into a sticky situation. As each Terror struggle is won, what effect resolves first? The Forced Response or the standard Teror struggle effect? The standard effect resolves first, then any Forced Responses.